partypoker employ the strictest anti-hacking security standards so you can deposit and withdraw your money with absolute confidence. 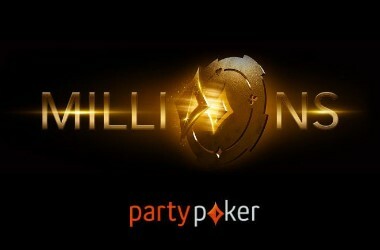 partypoker is one of the oldest poker rooms on the internet today. It has been around for a long time and will be around for a long time to come. The reason is because they go above and beyond with customer service and also offer tons of games that are better than the other rooms. They offer almost every poker game you can think of at every limit. There are regular players at the lower limit games ranging way up to the nosebleed high stakes games. If you are looking for great games and great action partypoker is the site to play on. 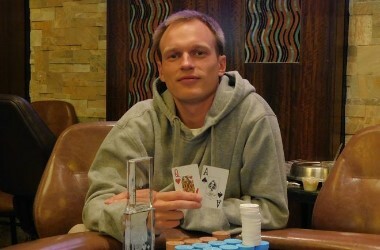 But what makes partypoker one of the most successful sites to play poker online? The site boasts the third largest traffic number in both ring games and tournaments online. partypoker manages to get at least 2,500 cash game players so you will be able to easily find a cash game table to play on. In terms of cash game player volume, it only precedes PokerStars and the iPoker network. In July 2012 it eliminated their high stakes cash games, however, the high stakes action accounted for a miniscule percentage of players, so the overall traffic on the site really didn’t take a hit. Aside from having decent traffic on the site, one of the best things about this poker room is the soft competition, with many loose tables and great action. As you may already know, partypoker was formerly the largest online poker site, with online poker regulars often referring to the ‘partypoker Days’ because of the action that took place on the site prior to 2006. However, because of the of the Unlawful Internet Gambling Enforcement Act the online gaming giant was required to pull out of the U.S. market and the site’s traffic took a big hit as a result. Today, players like Mike Sexton, Kara Scott & Tony G have joined the ranks to help promote the site and regain some of the market share it once had. The best games to play on here are the lower limit cash games. In these games there are tons of bad and beatable regular players where you can win small fortunes in a matter of weeks if not days. Most of the players are horrendous and if you are a seasoned professional, you can build up your bankroll in a hurry playing the low stakes games. Also, the sit and goes are great to play in. If you play heads up sit and goes, you should have no problem finding regular games no matter what limit you play. The one table or multi table sit and goes also are registered for rather promptly, so if you play those games you should be able to boot up a game right away. Lastly, the tournament fields are just as good as any other major site and you will find deep fields where thousands can potentially be won. partypoker offers all the popular poker games players would expect to find at any top online poker room, including variations of Texas Hold’em, Omaha, & Seven Card Stud. Generally speaking, you will find traffic at most tables and limits, but most of the traffic seems to be concentrated in the low stakes no limit Texas Hold’em tables. If your game of choice is Hold’em, you will always be able to find a suitable game in the stakes you like to play. 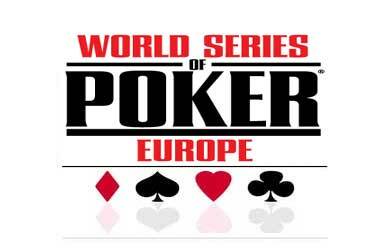 They have a tremendous selection of poker tournament from freerolls to sit & go tournaments to guaranteed tourneys to satellites in which the winners gain entry to major live poker events like the World Poker Tour (WPT). 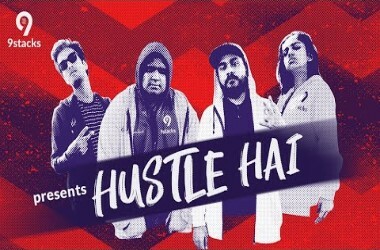 Every month they have a guaranteed $1 million tournament, you’ll struggle finding another softer high stakes tournament anywhere online and each week there is a guaranteed $300,000 tournament. There are special qualifiers for this weekly tournament to give players with a small bankroll a chance to win big without risking any money. General tournament buy-ins will range from as small as $1 to several hundred dollars. The smaller buy-in tourneys tend to feature much looser players. This room also has a regular Sit & Go Tournament schedule with Sit & Gos of varying buy in levels available around the clock. The SNGs fill up pretty quickly and you start with 2000 in chips. Party offer has a nice welcome deposit bonus for new players that boast a 100% bonus up to $50. This means that whatever you deposit onto player account, you will have matched. To earn the deposit bonus you will have to earn points on the site by playing and the bonus will be cleared in small increments until all of it is in your real money account. It is certainly something you should look to capitalize on as it can double your bankroll in a short period of time. The whole bonus is released when a player plays the required number of raked hands within 30 days. Although the bonus as a percentage is not big as offered by other poker rooms, it’s the easiest bonus to clear in online poker. It takes up to two hours to clear the whole $50 bonus playing four tables. They also offer reload bonuses to players from time to time; which is typically 15-25% matched on the amount you deposit. The tournament schedule here offers around the clock action. There are tournaments that start every five or ten minutes and you will find what you want. The biggest tournament that it offers is a $200,000 guaranteed tournament. In this tournament you could rake in a year’s salary in just one day. This is a tournament that you should look to play every Sunday as it could reward you with life changing money. The other tournaments that partypoker offers are tons of low limit buy-ins ranging anywhere from $1-$200. Most tournaments are guaranteed prize pools and worth playing. This Poker room runs on it’s own independent software. The software that powers Part Poker is decent and user-friendly. The graphics are pleasant and the well-designed lobby makes it easy to navigate and find a game. partypoker periodically run player questionnaires asking what people want in the software, which just goes to show they care about their customers. Besides simple graphics and plain and simple design it provides all the necessary features such as complete hand history, player notes, table waiting list, four color decks, and much more. 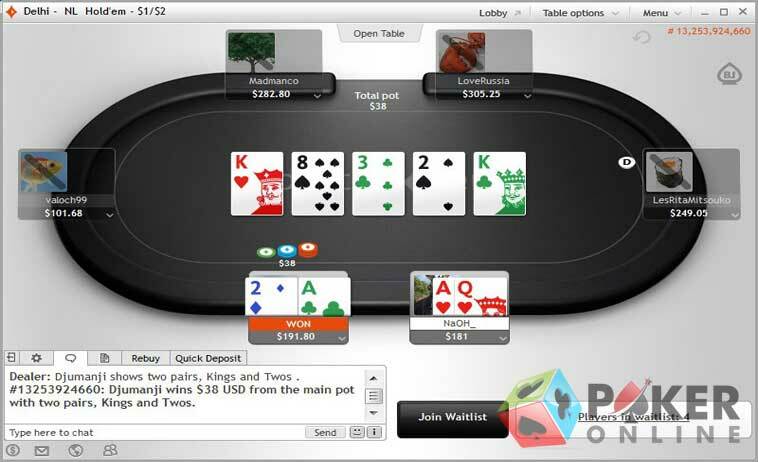 The partypoker software also allows players to cascade, tile and resize tables. The games lobby provides the most important statistics to show the flop percentage, rate of hands, and the average chip stacks, which is a great addition, because it helps with finding really juicy tables. One of the best features worth a mention is the Deal Making functionality when playing in tournaments, which allows players at the final table to make a deal for the remaining total prize pool, which isn’t that common with other poker sites. There are two versions of the software. An instant play version and downloadable version. 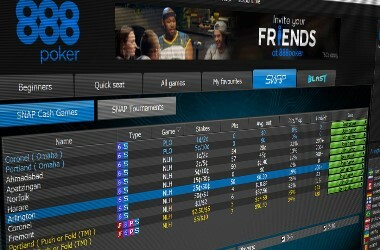 The instant play version lacks some of the functionality that you get with the one you have to download, and it can tend to be slower and a little choppy, so it would be highly recommended that you download the software to install the poker room on your computer. It’s a small download so doesn’t take long to install at all. The software available is second to none in the industry. It is one of the most secure poker sites out there and has almost never had problems. The tables are rather basic and shouldn’t strain your eyes if you are there for an extended session. The game play is just like every other poker site, but the difference is that this was the first site to have it. It’s excellence in game play and security is the reason why partypoker is still around today, and will be around for years to come. The customer service and support on partypoker is as good if not above and beyond better than all other poker sites. This is one of their strong points as they have been around for a long time just because of this. If you send e-mails to support they should respond within a few hours if not a day or two, and cashing money out is fast and easy. There are no problems with depositing money or withdrawing money. Some of the options for depositing are VISA, MasterCard, Maestro, Kalixa, Entropay, PayPal, Net teller, Skrill, UKash, Pay Safe Card, Bank Transfer, Bank Wire, Western Union, Click and buy, and instant banking. With all of these options you should have no trouble finding one that suits you best. Players have a wide range of deposit and withdrawal options to deposit and cash out funds from the site. The depositing options range from Visa, MasterCard, Click2Pay, Neteller, Moneybookers (Skrill), Checks, Ukash, Paysafecard, and more. Withdrawals can usually be done to any of the deposit mediums. 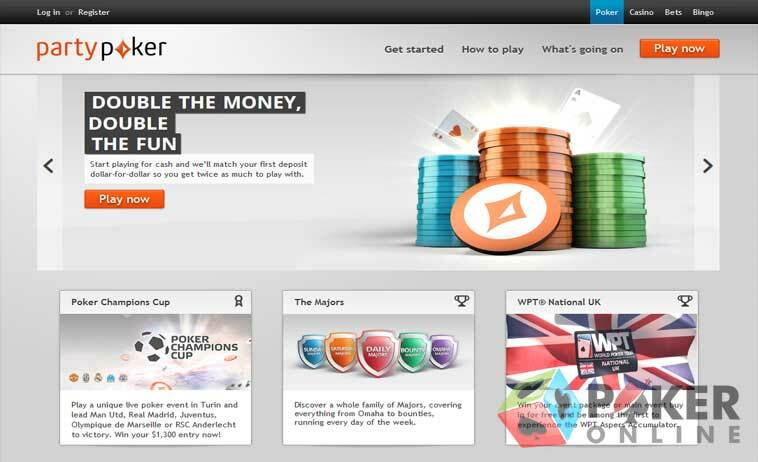 Please refer to partypoker website for the most up-to-date deposit and withdrawal methods. All cash out requests are processed within a few hours without time or amount limits.